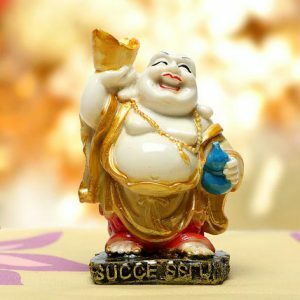 As per beliefs of Feng Shui, keeping a laughing Buddha makes you way more successful than you are right now. In corporate world everyone wants to succeed at their own pace. This would thus be a genuine gift. Place an order right away for this adorable piece of laughing Buddha.